Being the leader of the free world is a dangerous job. The world was reminded of this as shots from a .32 caliber pistol rang through Belmont park in Miami, Florida. Our future president, Franklin Delano Roosevelt, learned this first hand, on Wednesday, February 15th, just over two weeks before his inauguration, when he was shot at after giving a speech to the crowd from the back seat of his light-blue buick touring car. 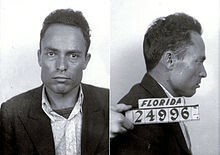 The attacker was 32 year old, Giuseppe “Joe” Zangara (pictured below), an unemployed bricklayer and Italian immigrant. After shots were fired, Zangara was apprehended by surrounding citizens in the crowd. Zangara fired five shots in the direction of the president-elect. While five people were wounded, Roosevelt remained uninjured. It is believed that Zangara’s narrow miss could be accredited to Lillian Cross, who claims to have grabbed the shooter’s arm before he could fire. Zangara was taken into custody and when asked why he did it, he was quoted saying, "I kill capitalists because they kill me, stomach like drunk man. No point living. Give me electric chair." While Roosevelt was not hit, mayor of Chicago, Anton Cermak received a stomach wound that proved to be fatal. He later died of his injuries at the hospital. Rosenberg, Jennifer. "Who Tried to Kill FDR?" About.com Education. About.com, 19 Nov. 2015. Web. 11 May 2016. It's said that Halloween is when the monsters come out. This was proved to be true this year after an attack on two kids left one unconscious with a broken arm and the attacker bruised. Jeremy "Jem" Finch and his younger sister Jean Louise "Scout" Finch were walking home from the Halloween pageant at the school house late Saturday night when they were attacked by Mr. Bob Ewell. "Jem [Jeremy] and I were walking home from the school, and we heard a noise, but we thought it was just Cecil Jacobs because he jumped out and scared us when we were walking to the pageant," said Jean Louise, daughter of Atticus Finch, "so I yelled out to Cecil, but he didn't say anything back." Jean Louise was, at the time, still in her ham costume, so she couldn't see or move very well. "We heard footsteps behind us, so Jem told me to run, but I fell because of my ham costume. ", said Finch, " Jem grabbed me and tried to help me up, but he got pulled off of me." The assailant then proceeded to break Jem's arm and knock him unconscious. "I heard a snap and then Jem screamed", said Jean Louise. Ewell then came after Jean Louise, but his knife didn't reach her through the chicken wire that lined the inside of her costume. Jean Louise made her way home, and her father called the authorities. When Sheriff Heck Tate went back to investigate the crime scene, he found Ewell dead. "He fell on the knife he was attacking the children with. ", said Tate, "It was stuck right in his ribs." Jean Louise escaped with minimal injuries, and Jeremy's prognosis currently has a positive outlook; he is expected to make a full recovery. The attack comes after the recent trial in which the children's father, Atticus Finch, defended Tom Robinson under the prosecution from Ewell's daughter, Mayella. Post trial, Ewell threatened Finch and spit in his face. The streets of Maycomb County might not be as safe as we think. A dog was recently found infected with rabies and shot in a residential area over the weekend. The dog was spotted by two young kids, Jeremy "Jem" and Jean Louise "Scout" Finch while they were out playing. "Me and Scout were out playing with our new air rifles, and we saw Tim Johnson [the dog] walking kind of funny, so we went and told Calpurnia." said Jeremy Finch. After the children informed their housekeeper, Calpurnia, of the dog, Calpurnia called Atticus Finch at his law firm, who then contacted the Sheriff Heck Tate. Upon arriving and finding the dog, Sheriff Tate handed his gun off to Atticus. "When we spotted the dog, he was standing in front of the Radley house, so if it wasn't an accurate shot, it would hit the house. ", said Tate, "I gave Atticus [Finch] the gun to shoot because he's a better shot than I am." Finch then shot Tim Johnson, hitting him directly in the head. The dog was owned by, local Maycomb County resident, Mr.Harry Johnson, who was saddened but relieved by the events. "I'm glad he [Tim Johnson] didn't have to suffer,", said Johnson, "but he will be missed." The afternoon's events have raised questions for local officials on public safety. As of now officials are unsure of how long the animal was or how it became infected with the virus. The sheriff recommends keeping a close eye on young children and pets when outdoors for the next few weeks. There is no way Tom Robinson could have ever done anything to that girl, Mayella, and he definitely should not have been convicted in that trial. That man has been working for me for years and never once caused me one bit of trouble. Not to mention the evidence in his favor! That jury means to tell me that they actually believe a man with only one working arm could take down a girl the way whoever did that to her did? Well I ain't buyin' it and they're a bunch of fools for believing it. Dirty people like the Ewells ain't got nothin' better to do than mess with black folks, throw filth out of their gullets, and drink themselves to death. Any sort of honesty coming from those people is dang near laughable. The only crime Tom Robinson ever committed was giving that girl any bit of his courtesy or time. A pair of shoes was found at the schoolhouse after the Halloween pageant. The shoes are red with a white bottom and a black line on the base. 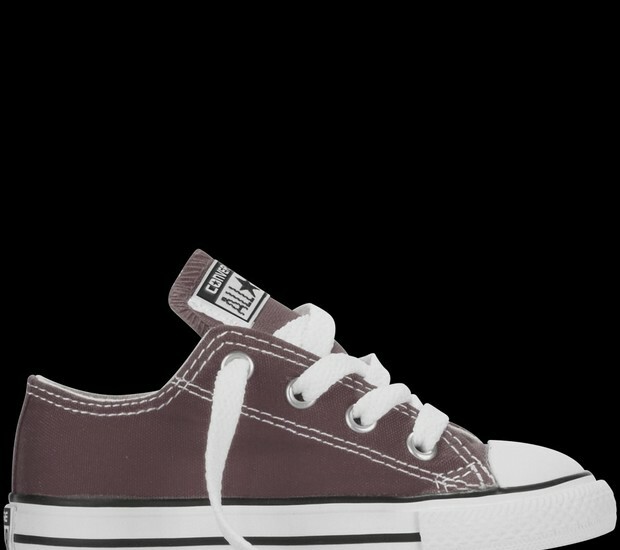 They have white laces and are a size 5 in kids. If they are your child's, they are available for pick up at the schoolhouse.